Popular superSpots pack proves variety is the spice of life! Bright colors and amazing designs to motivate, collect, trade, and celebrate success. So many uses! Acid free, nontoxic, and safe for photos. 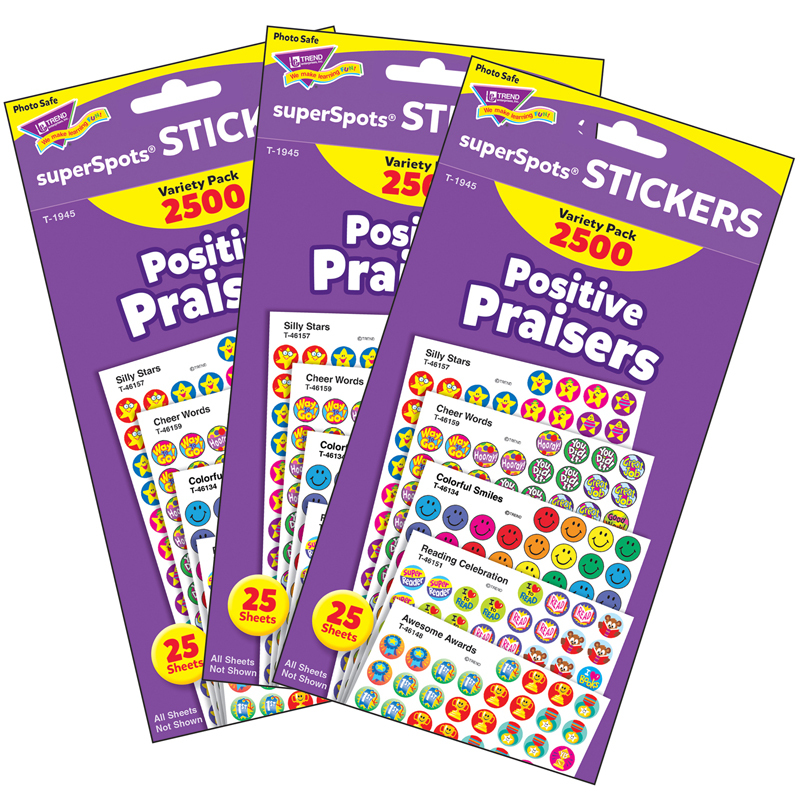 68 designs (Super Words, TREND Kids, Colorful Smiles, Awesome Awards, Reading Celebration, Happy Smiles, Silly Stars, Cool Words, Beaming Rainbows, and Cheer Words), 2,500 stickers per pack. Includes 3 packs.